MERCS is produced by MegaCon Games, formerly MERCS Minis LLC. 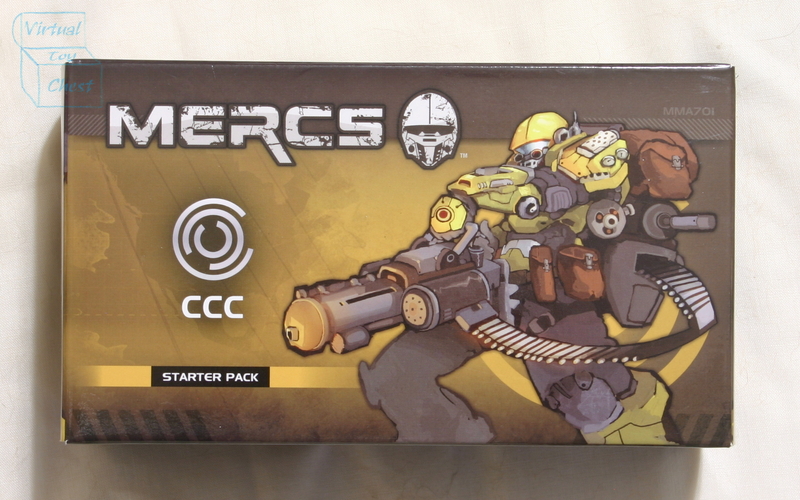 It is a quick playing skirmish game set in a near future world dominated by large corporations, MegaCons. 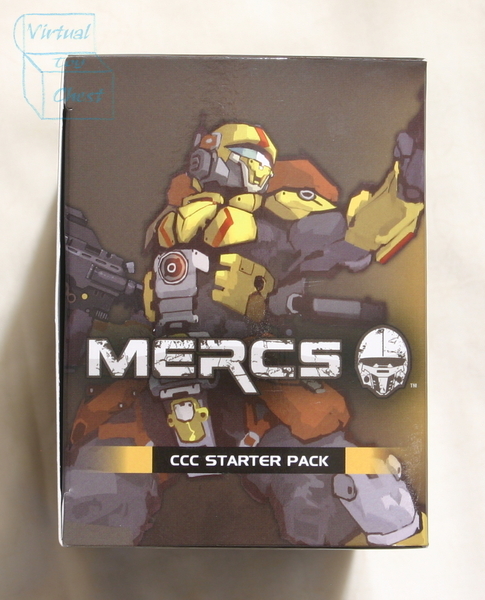 You play as a group of MERCS (Military Economic Reconnaissance Counter Security) a combat arm of one of the corporations. Unlike most tabletop games, MERCS does not make use a tape measure. Instead, each model has a stat card, which is also used to measure the movement of a model. Another unusual feature of MERCS is the snap to cover system. If a model is close to cover, it can take shelter there, by declaring that it is snapping to cover. Army construction in MERCS is very easy. The game is played with five miniatures. There is no points calcuation, or special wargear. Simply pick five figures from your faction and you are good to go. At present, most factions have seven different miniatures. CCC was an acronym of Chicago Cincinnati Cleveland Holdings. It now stands for Commercial Corporate Continuity and is the largest MegaCon on the East Coast. Its sphere of influence extends from Halifax across to Chicago, and from New Orleans East to Charlotte. The corporation specializes in the production of steel compounds. They discovered anamorphous molecular manipulation, AMM, which allows for the production of flexible steel. This is used in the body armor worn by CCCs MERCS units. 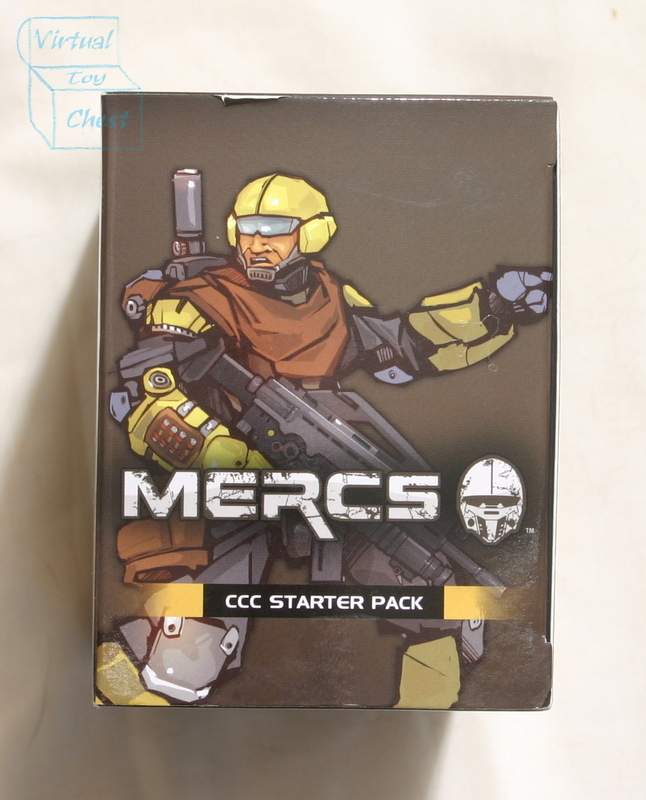 The CCC's most famous MERCS unit is known as the Yellow Jackets. 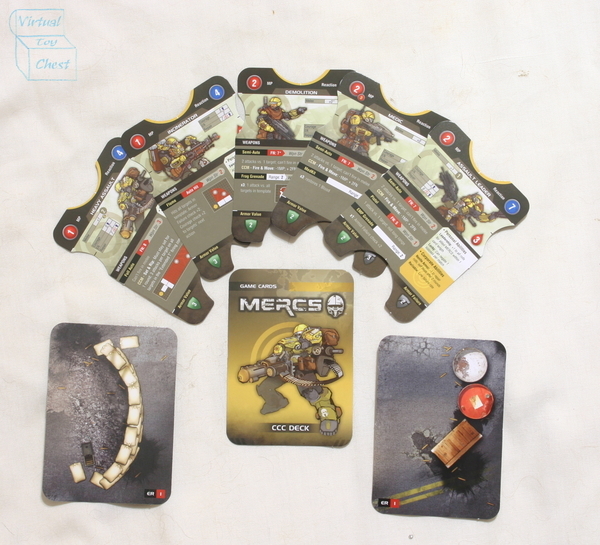 Although they are not the best trained MERCS unit, they have learned through experience, and have seen some of the most intense combat of the 22nd century. Ios Security Systems, or ISS for short, specializes in security at sea, and shipping. They have dominated the shipping market and have monopoly on oceanic security. Their primary base of operations, known as the Tears of the Morning, rises high above of the Ionian sea. However, every MegaCon has a ISS harbor, which is fully in control of the ISS. The ISS also has an extensive network of underwater facilities. Few people from outside of ISS has ever entered this network. The elite ISS unit is known as the Myrmidons, named after ancient Greek warriors. Individual members are not named, and their suits conceal their true identities. Keizai Waza's territory streches from Japan to Australia, including much of Indochina. Their dominance was made possible through sabotage and ruthless business practices. Although they have discarded much of the history of their countries, they have maintained certain elements that have been key in their success. One of these is Budo. Keizai Waza are the only MegaCon to use nuclear technologies. They were able to create controlled nuclear reactions, which are used to power their armor. They have also developed micro nuclear explosion technology, which they have employed in rocket propelled grenades. 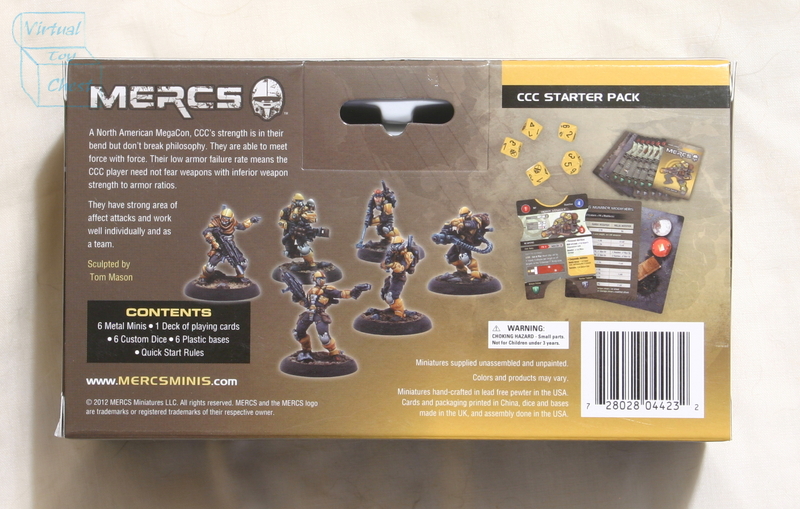 Their elite MERCS team is know as Special Operations Unit 1, or SOG1 for short. It is composed of the best members of their other special operations units. KemVar was formed by the merger of Kemet of Brazil and Varlen of Venezuela. They soon allied with the territorial government and became one of the most dominant MegaCons. KemVar developed active camouflage, known as the AC.2.7 Integrated Recognizance System. It cloaks the user in a field that mimics his surroundings. Caes de Guerra or Dogs of War is KemVar's best known MERCS unit. It has been fighting since its inception, and its leader, Eclison Tavares Jorge Machado has gained considerable popularity and power. Sefadu is the youngest of the MegaCons, and is based on Africa. It was originally known as Koidu Diamond Exporters, or KDE for short. They supply the CCC with diamonds for their ammunition, and are frequently defended by them. FCC's hostile take over attempts of 2171 led the Sefadu to increase its funding of its MERCS division. Led by its founder, Jacob Gbenda, Sefadu created advanced laser technology, which it has now militarized. The Assegai are the Sefadu's elite MERCS unit. Texico is the smallest of the MegaCons. They have survived on account of their control of The Canal. No other MegaCon has been able to take control of it, as such an act would destabilize the balance of power. Thus Texico remains. Unfortunately, they also have no allies and are almost out of resources. They know that their days are numbered. Their autonomy will come to an end, either through force or through acquisition by a larger MegaCon. The Last Dragoons are Texico's only MERC unit that is active outside of its borders. They are unique in that they are the only remaining MERCS unit who has GCC jurisdiction and powers. These were gained through the GCC Extraterritorial Jurisdiction Act, which deputized the Texico Marshall, along with other MERCS and GCC Judges. USCR stands for the United Social Corporate Republic. Unlike many other governments which were lost with the rise of corporations, the old Soviet government was able to stay intact as a single unit and merge with a single large company, forming the USCR. The MegaCon has considerable holdings stretching from Moscow to the Yukon. The USCR has had considerable setbacks. The formation of the GCC threatened its independence. They were soon assaulted by the House 9, which marched on Moscow in 2171. The corporation was saved by their mechanized armour, the Behemoth, which let them drive back the FCC threat. FCC stands for Free Corporate Control. They are a group of rebels that want to dismantle the MegaCons. They are organized into several houses, each of which act independently. 11 houses are known to exist. 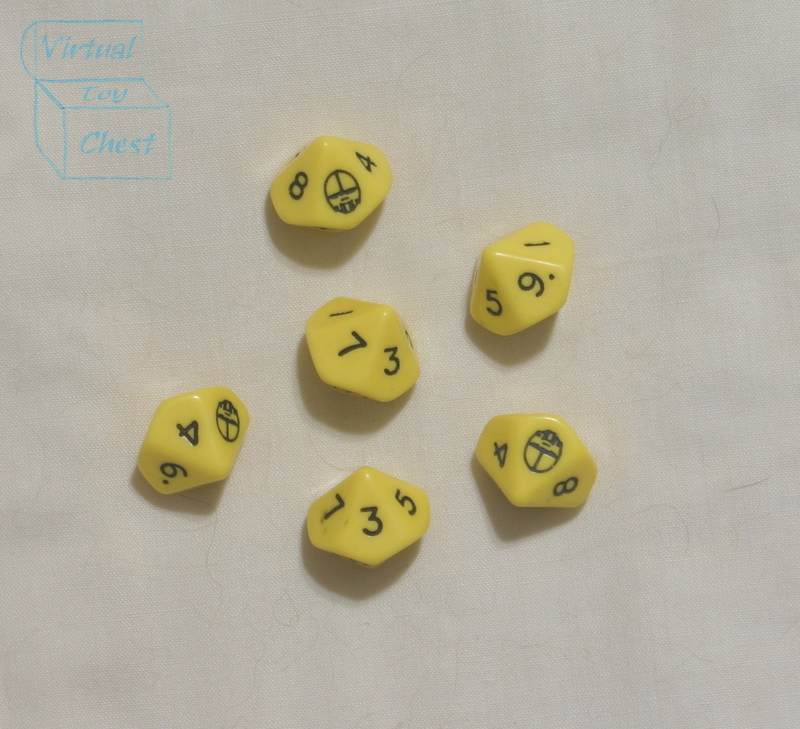 The most famous of these is House 9. Its members have taken on the names of Hollywood actors. House 4 has adopted the names of cartoon characters. They are active to the north of Texico.